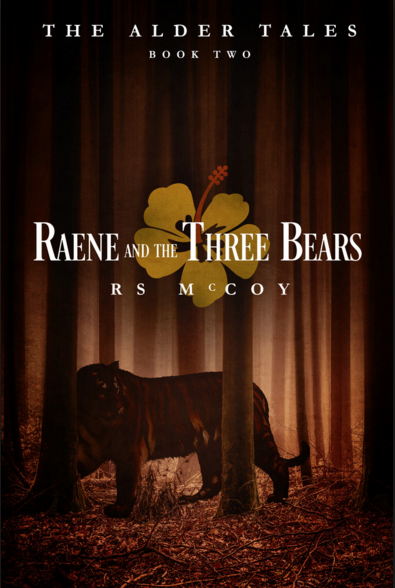 "Raene and the Three Bears" is loosely a "Goldie Locks and The Three Bears" retelling and it picks up right where "Blossom and the Beast" left off. This book has a few more points of view than "Blossom and the Beast" as it shifts between telling Raene's story, Blossom's story, and we even get a couple of chapters keeping us on Kaide. In summary, Raene, a Pyro Princess, with the enormously powerful totem of a tiger (ability to change into a tiger at will) has spent her whole life preparing for the day she would be traded to one of the elite Pyro clans in marriage to help further Kaide's ambitions. She's spent her life being trained how to eat, speak, dance and move perfectly, all so that she would make an ideal match. But Kaide hasn't traded her to one of the elite pyro clans for marriage, he's traded her to the back woods Terra bear clan. They don't have houses, never mind opulent manors, they don't have electronics, they don't even have running water and Raene is going to have to spend the rest of her life living in a tent on the ground five inches away from the dirt. 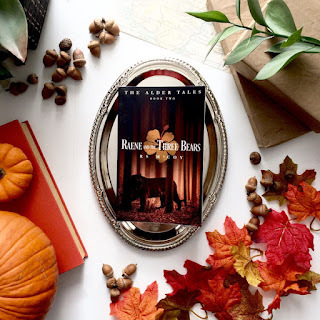 To make matters worse Kaide didn't even choose her husband, he's done the unthinkable and made a contract that makes her decided which of the Frane brothers she want's to marry. Does she want sweet, thoughtful Hale, who is steady as a rock and careful about seeing to her every need but is constantly urging her to be more Terra, or does she want Parson, who take her hunting and is full of passion but is also unpredictable, grouchy, and always sticking his foot in his mouth? My biggest hang up in this book is not the story telling or the characters (both of those were really well done) it's the political set up. The whole premise of this story is based on people who can shift into animals after they get a scientific injection, but I can't quite wrap my mind around how that came to be. It seems like it gets a lot of people in trouble, makes a lot of people dangerous and the benefits to both the person and society are pretty limited. I'm really hoping in the next book R.S. McCoy pulls of bit of what Veronica Roth did in the Divergent series where she pulls back a bit and tells us how this society was set up in the first place. With that said I thought this book was really well done. I wish there could have been more of Blossom's story woven into it because I felt like there was a lot going on in her situation, but every glimpse we did get of her was both interesting and horrifying and left me dying for more. I also feel like Blossom has become so much more reasonable, picking her battles and fighting for the things that are really important. 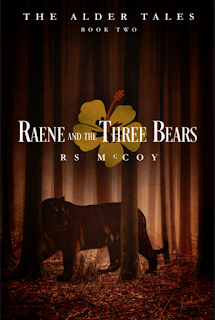 I thought the set up with Raene and the bears was fantastic. I loved reading about her romances and I thought she made total sense as she tried to fit into her new setting and balance the affections (or lack there of) of the men she was supposed to be vetting for marriage. She was totally relatable, the set up was great and there were plenty of steamy kisses without getting too graphic, I would say totally YA appropriate. 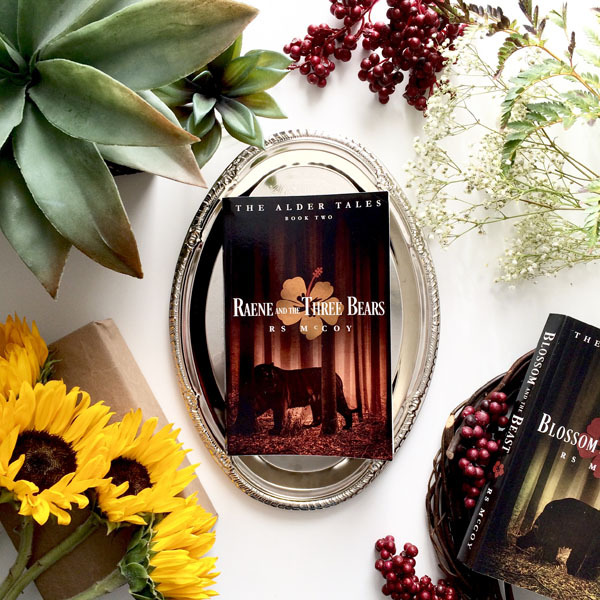 I was kind of luke warm on "Blossom and the Beast" (you can read my review here) but I really liked "Raene and the Three Bears" and I'm looking forward to reading the next in the series.